Gregory Atkinson, Ronnie Henry, Alan M. Batterham, Andrew Thompson: Jet Lag. CDC Yellow Book 2018. New York: Oxford University Press. 2017: 62-4. Coste O, Lagarde D. Clinical management of jet lag: what can be proposed when performance is critical? Travel Med Infect Dis. 2009 Mar;7(2):82-7. Sack RL. 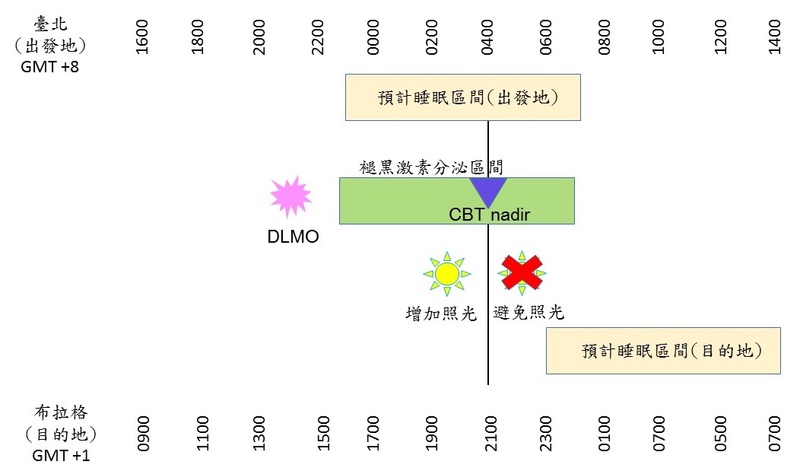 The pathophysiology of jet lag.Travel Med Infect Dis. 2009 Mar;7(2):102-10. Srinivasan V, Spence DW, Pandi-Perumal SR, Trakht I, Cardinali DP. 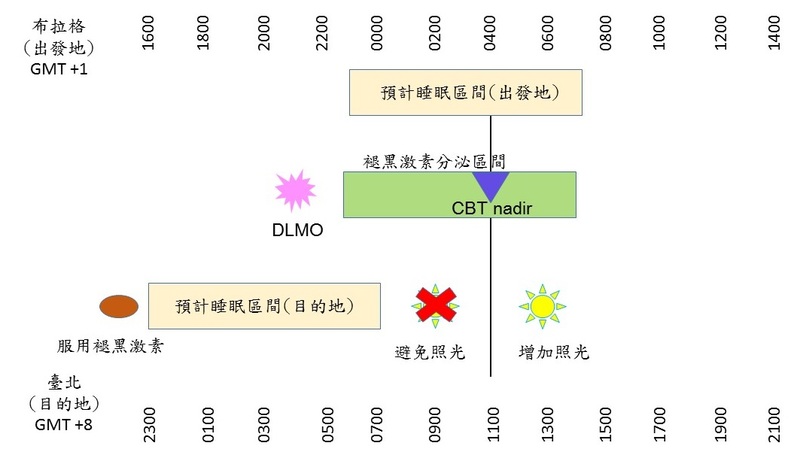 Jet lag: therapeutic use of melatonin and possible application of melatonin analogs. Travel Med Infect Dis. 2008 Jan-Mar;6(1-2):17-28. Brown GM, Pandi-Perumal SR, Trakht I, Cardinali DP. Melatonin and its relevance to jet lag.Travel Med Infect Dis. 2009 Mar;7(2):69-81.